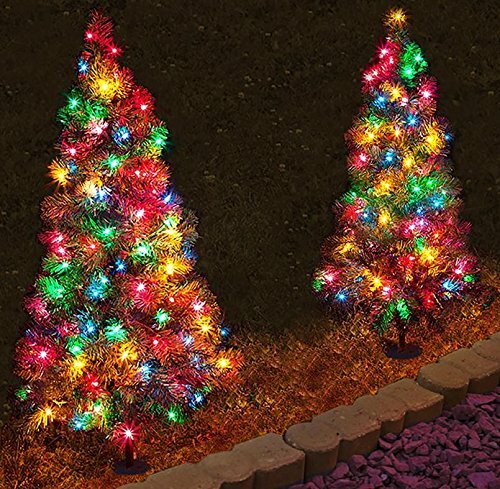 Each tree is pre-lit with 50 multi-color led lights, rated for 10,000 hours. If one bulb goes out the rest stay lit. AC powered with 5' lead cord. UV stabilized tips prevent fading from the sun. Realistic looking dark green tips.